After posting about my multiplication paper saver method, a friend of mine asked a very good question that I thought deserved its own post. The question was- if you are giving them their timed tests on dry erase pockets, what are you sending home to parents to show grades. And it dawned on me that I never specified just HOW I do that. And this is what I have done even when I used a bajillion copies of tests.. The timed tests NEVER go home. If students got a 100 I would file it in the 100s folder. If the students did not get a 100 they would have to copy the problems they got wrong, correct them, and write them 10x each. They would have to get it signed by a parent. So, their parents would know they didn't get a 100. These tests were separate from my actual grading. I didn't record THESE grades in my normal grade book. They went on a separate checklist. I give my students TONS of practice and other multiplication tests and THOSE are the grades that count and the ones that get sent home. 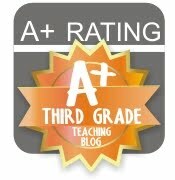 Some examples of things I would grade are: workbook pages, word problems, task card activities, dice games, etc. The parents still see how their child is doing without me having to send home the timed tests. 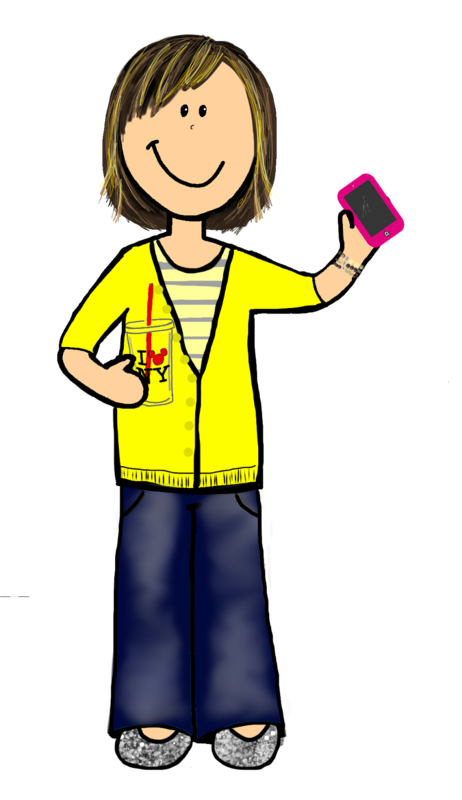 You may have noticed on my logo that I place on my pictures, there is a little clipart person. That person is me! I absolutely love it. Crystal from The Library Fox made it for me and I just love love love it. She has them listed in her TpT shop if you want to get one for yourself. Her turn around time is just a couple days and she is very easy to work with! She dealt with me... she can deal with anyone! 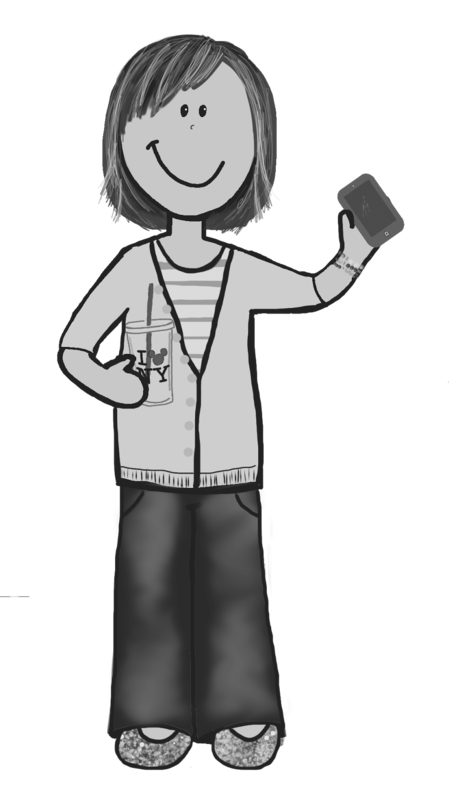 AND you get a black and white copy of yourself too! Which I positively love and am going to use on classroom communication! Oh! I love your min-me. Its sooo cute! Gina... You were NOT hard to work with! :-) I'm so glad you love her!